Happy first day of March! 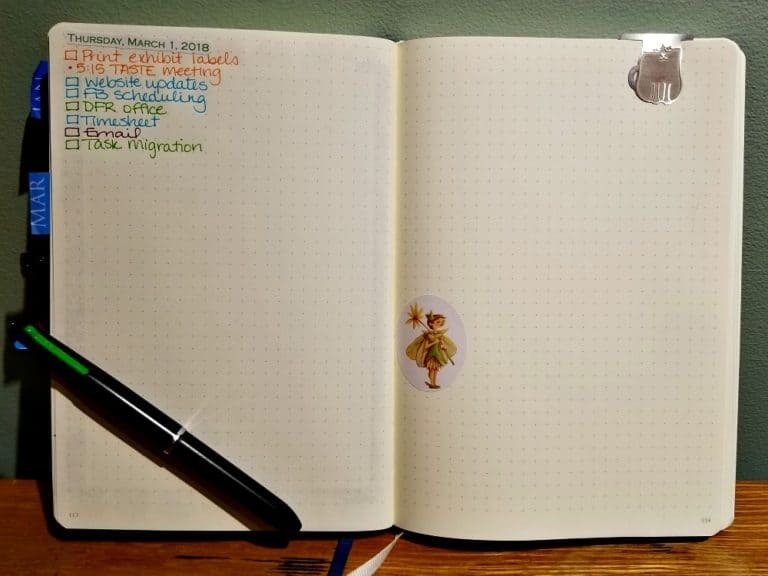 I’m excited to share my March spreads with you. First off my monthly log and task list. This format works well for me, so I rarely change it up. 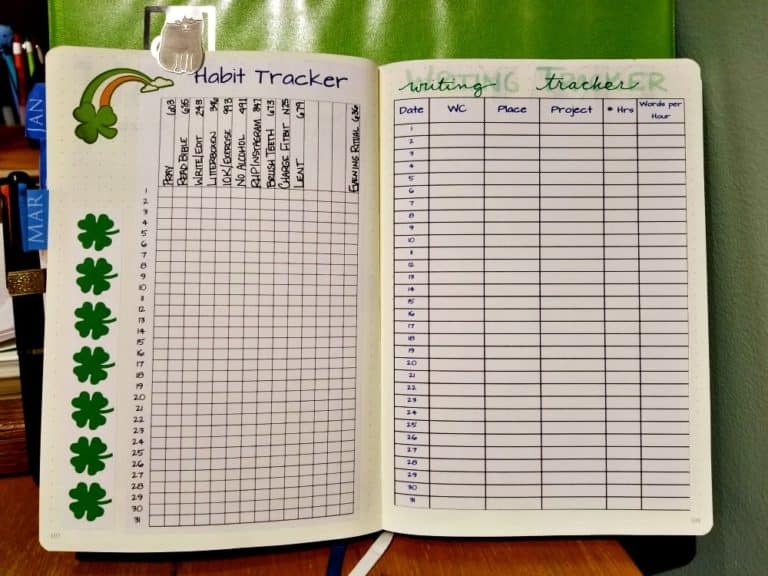 Then come my habit tracker and writing tracker. Thanks to an Instagram comment from my friend James, I’ve been doing a better job with my habit tracker in February–he suggested I keep it on my pillow, and I modified his suggestion a little. Now I keep my Standard Memorandum Book (by Word) on my nightstand until I’ve filled in the habit tracker. Then the notebook goes on my desk until morning. It helps remind me to spend time with the habit tracker. 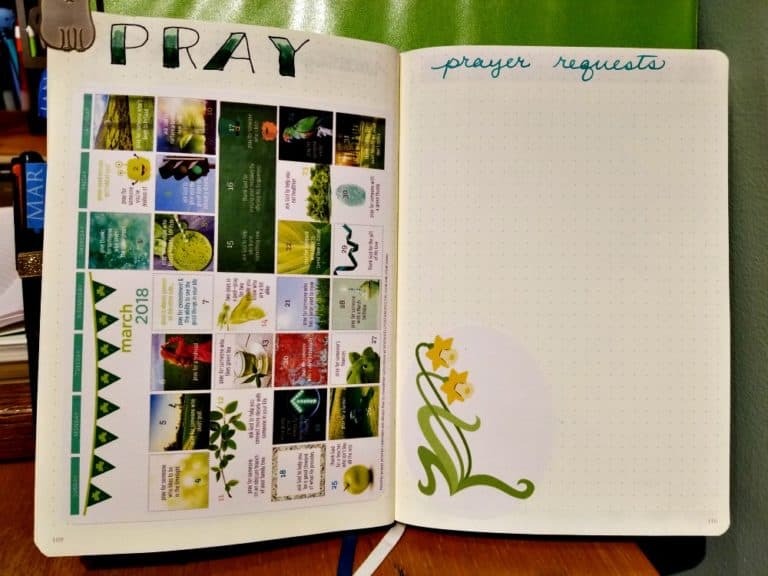 Next is my prayer calendar by Kelly O’Dell Stanley and my prayer list, updated throughout the month. The next spread is a new thing this month! I’m going to try to do a small workout every day for the month of March, so I made up a little calendar to track that. 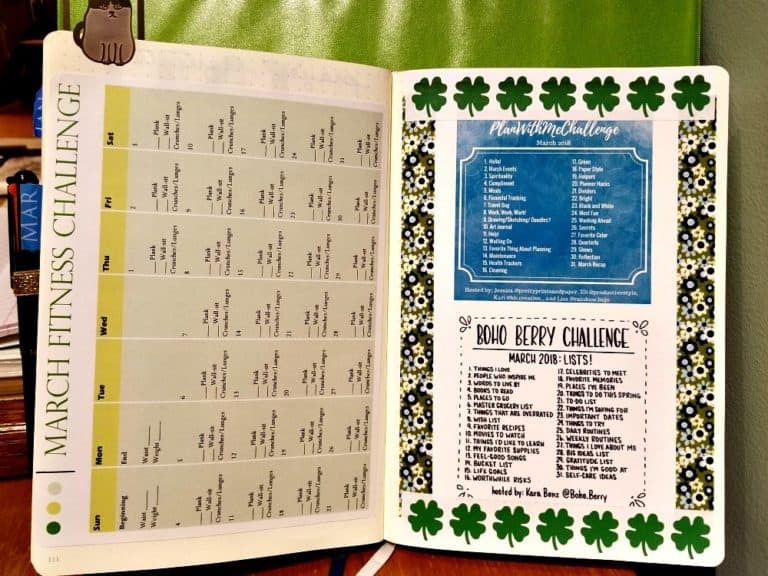 On the page facing are printouts of prompts for the Boho Berry Challenge and the Plan With Me Challenge. I want to do a better job at posting consistently on Instagram, so hopefully these prompts will give me ideas! 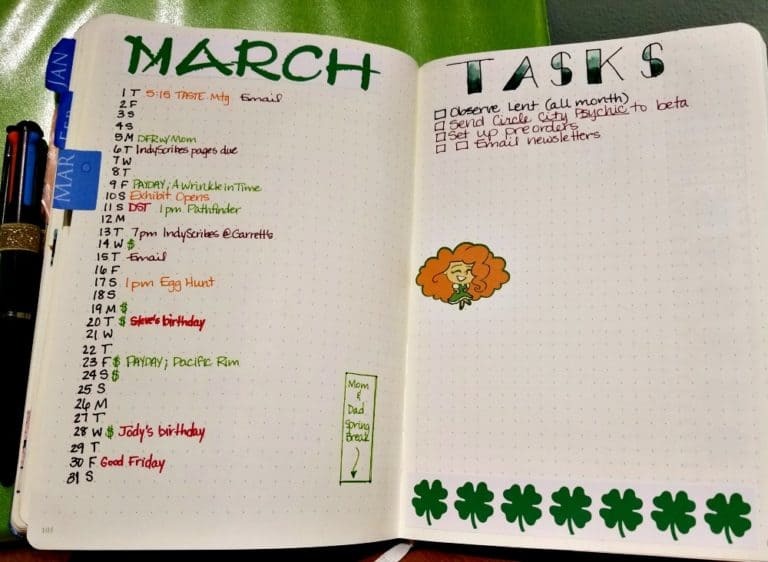 Then I start my March daily stuff on the next page.